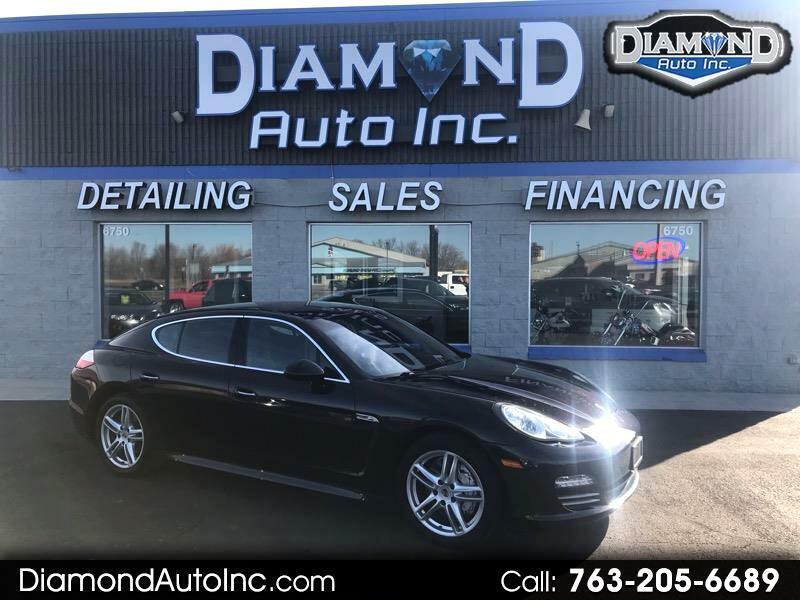 Used 2010 Porsche Panamera 4S for Sale in Ramsey MN 55303 Diamond Auto Inc. CALL KEN at 612-272-0310 WE FINANCE AND TAKE TRADES!!! SEE MORE PICS at ( diamondautoinc.com ) (Ask a sales associate for warranty details) CARFAX available on all vehicles. Our Dealership is family owned and operated! Customer service is our #1 Goal. Great Financing Rates Available! Visit Diamond Auto Inc. online at diamondautoinc.com to see more pictures of this vehicle or call us at 763-205-6689 today to schedule your test drive. AWD, 4S V8, LOADED, JUST HAD 80K SERVICE DONE AT PORSCHE MPLS., THIS ONE HAS BEEN TAKEN CARE OF AND HAS ALL SERVICE NEEDED!!!!!!!!! Message: Thought you might be interested in this 2010 Porsche Panamera.